Hello! Today I'm sharing how to make these fun and easy "Furever stamps" with my new Puppies Galore set and postage themed images from my Stately Flowers 11 set! 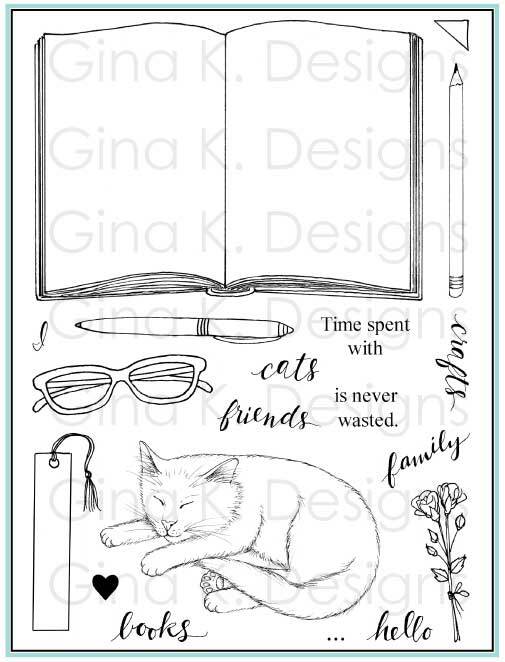 We'll mask and sponge to create depth and a postage border before stamping and some simple coloring and shading with alcohol markers. Please enjoy! I hope you will subscribe to my channel. Purchase Stately Flowers 11 here. Affiliate links are used for your shopping convenience. I receive a small commission if you choose to purchase at no additional cost to you. Thanks for your support! Good morning! Welcome back to our April release! 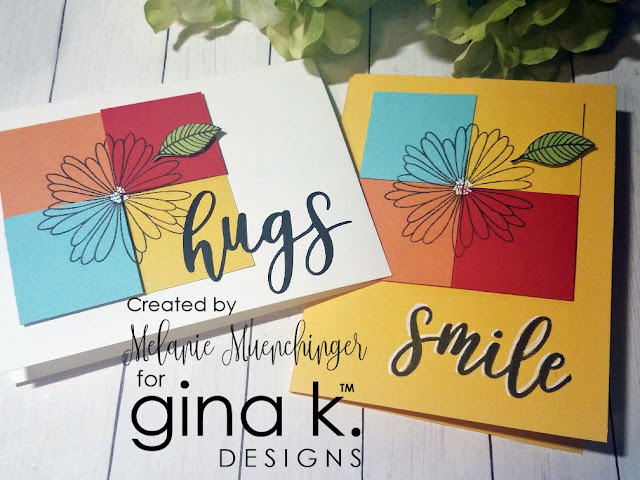 Today we are showcasing Gina's Elegant Asters Kit, Hugs and Wildflowers from Lisa Hetrick, and other wonderful new goodies! We hope you are inspired as you hop through our team's links today, we've worked super hard to share our ideas and creations with you! 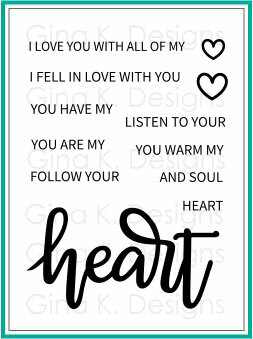 Please leave comments with your feedback for chances to win a $50 gift certificate to Gina K. Designs! It is not required to comment on every blog, but the more you do, the more chances you have to win! 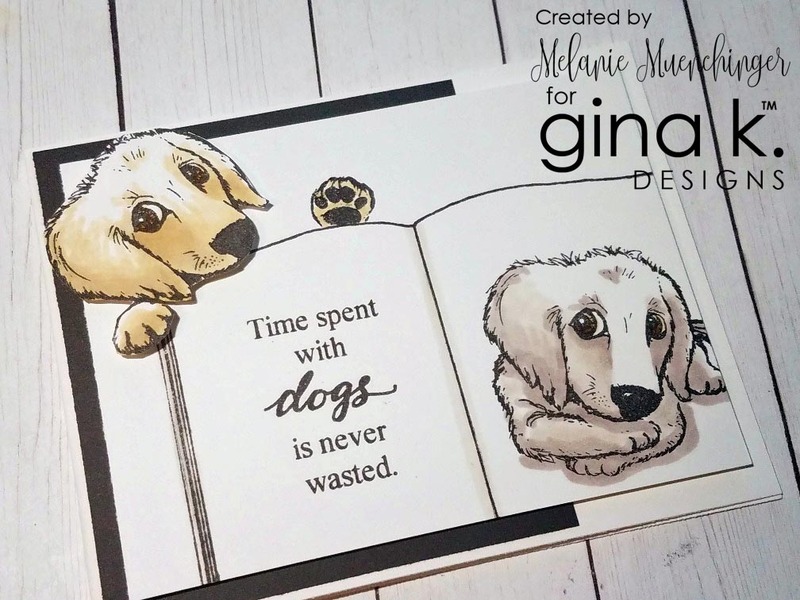 Winner will be announced on Gina's blog April 19th. 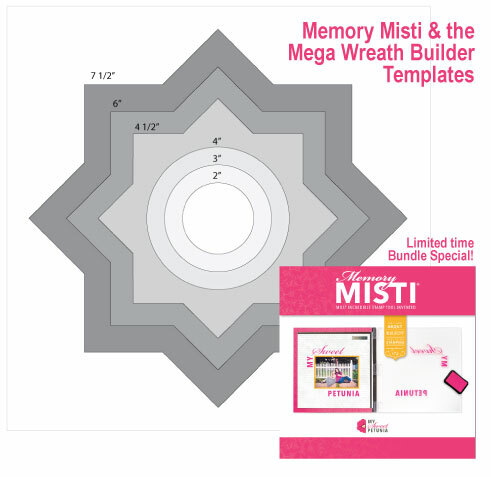 Here is everything you get in the Elegant Asters kit! These colors and images will take you right from Spring into Summer! 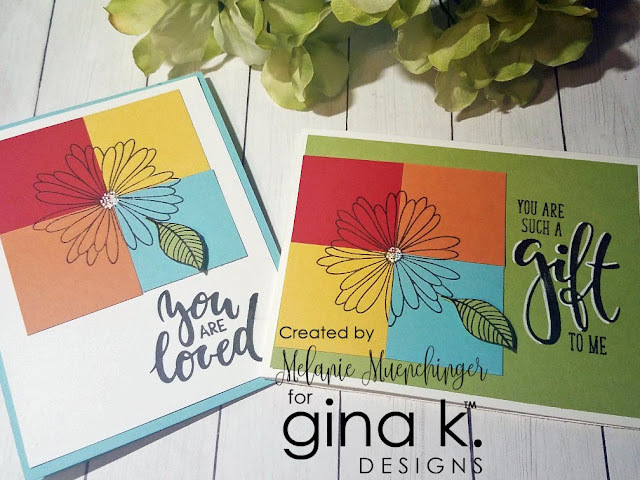 Here are 4 cards I made by putting the flower in the MISTI and stamping it out four times in Jet Black Amalgam, on 4 squares of colored cardstock from the kit cut the same size 3 1/4" square. Next, cut them all in half and then half again, and piece them back together for four different focal points! I used both the stamped greetings, Smile stamp from the new mini kit in the same font, and the new scripty "hugs" die to make these. Such great colors in this kit! (I know I already said that, just..!) 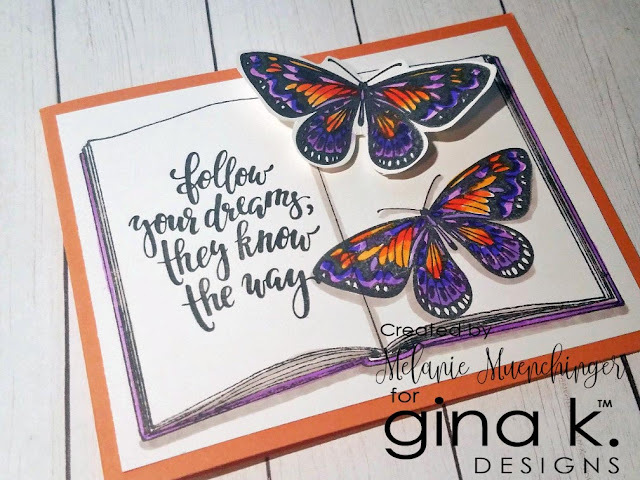 I used a white gel pen on all the centers and to make the script on the colored cardstock pop. Next, I wanted to add the kit's gorgeous butterfly and greeting from the kit to my Open Book frame. Cardstock is GKD White and Tangerine Twist. After coloring and shading one to look like an illustration on the page, I die cut the second one to really take flight from the book. 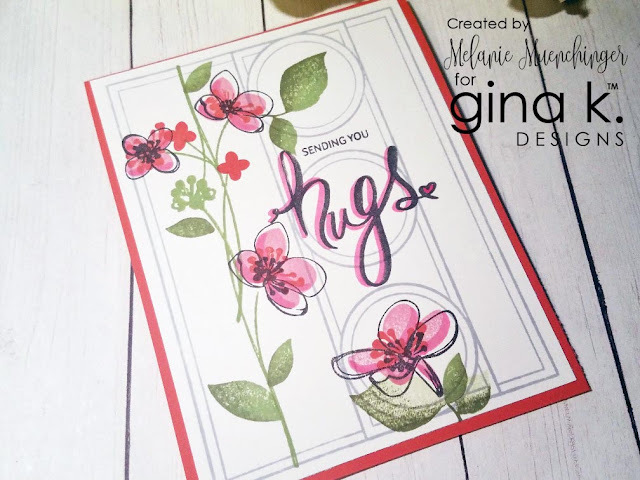 Next up we have Lisa's lovely Hugs and Wildflowers ! 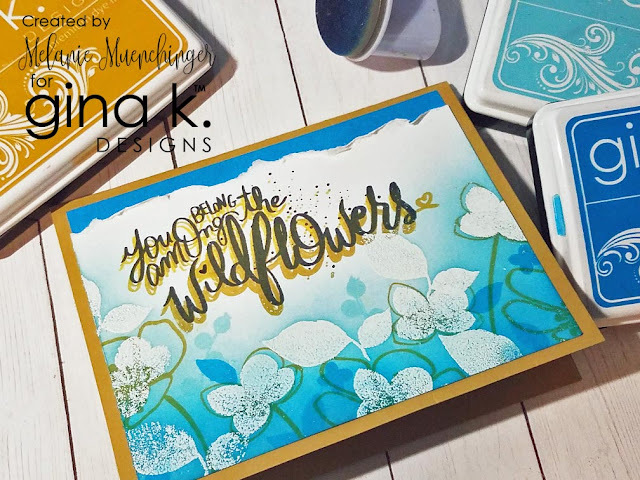 I love two step flowers so my vision was to do those line art images in Prickly Pea like a gold, with clear embossed bold flowers over them to resist the blue ink and show those delicate yellow details of the flowers. Unfortunately, last embossing sesh I must have put the clear powder cap on the white EP jar, ooooops, and it covered up the line art when heated! (In my defense the powders look pretty similar!) Anywho, although the card didn't turn out quite how I planned, but it was pretty close, enough to keep going! 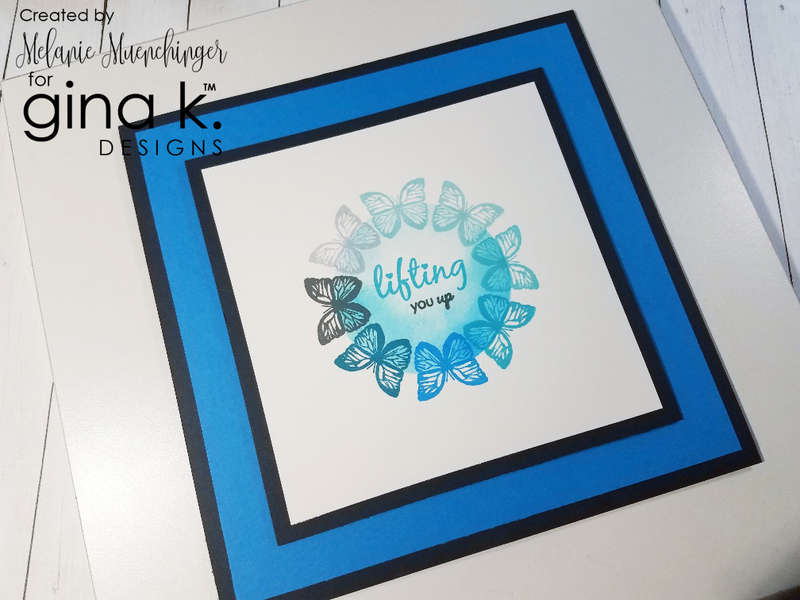 I sponged on the Sea Glass and Blue Raspberry ink, then added a few more silhouette stamps in the blue inks or a more layered look. 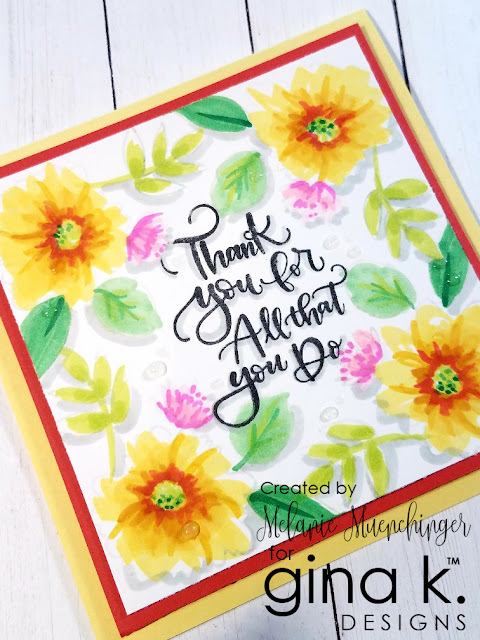 I did an ombre on the greeting inking in Wild Dandelion and Prickly Pear to look like shiny gold,and although pretty, it was abit hard to read in the yellow, so I stamped offset with the Jet Black Amalgam. Love the contrast here! I noticed this stem-y border was the perfect length to stamp in my Triple Play Frame, so I stamped the border in GKD Jellybean on the Soft Stone stamped frame. 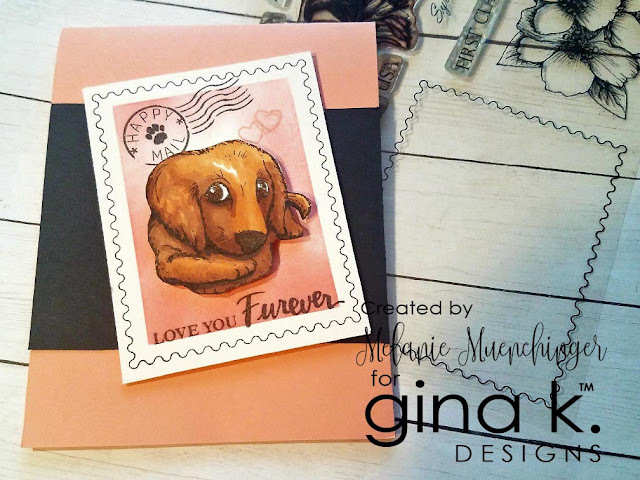 I added the two- and three step stamps in GKD Jet Black Amalgam, Dusty Rose and Coral Reef, then inked the leaves in Jellybean and rolled in Fresh Asparagus. The circles in the frame spotlighting her greeting and help me place remaining floral elements for a balanced design. Cardstock is White and Coral Reef. Here is one with the new mini stamp set, Hugs and one of my puppies! 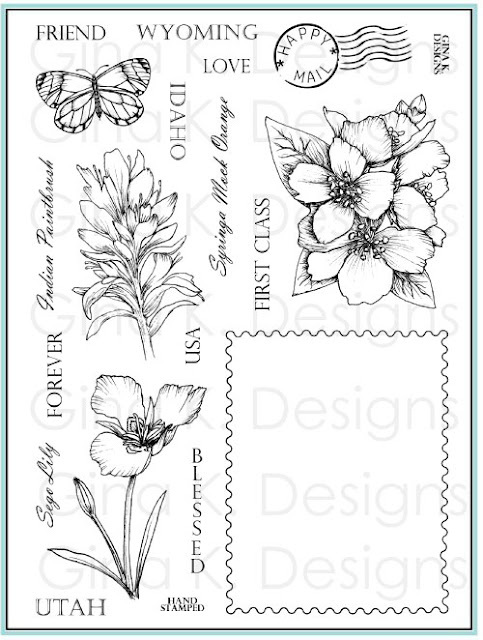 Here is a sample with another new mini set, Spring Joy! The way the animals are rendered reminds me of stuffed animals or squeaky toys, so I just had to give another one of the pups, colored like my friends beagle, something to play with! Cardstock is Lemon Drop, Black Onyx and White. Now let's go see what the rest of the team has for all these fabulous new products! Shop all the new goodies here. Melanie Muenchinger- you are here! Thanks for visiting! Good morning! Welcome to our April release hop! Today we are showcasing my Puppies Galore set, For the Grad from Beth Silaika, and other wonderful new goodies! We hope you are inspired as you hop through our team's links today, we've worked super hard to share our ideas and creations with you! 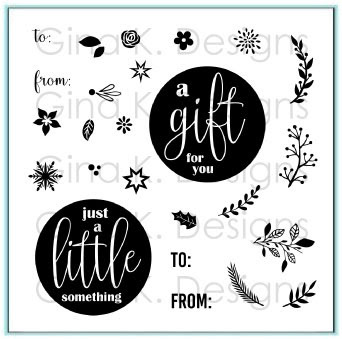 Please leave comments with your feedback for chances to win a $50 gift certificate to Gina K. designs! It is not required to comment on every blog, but the more you do, the more chances you have to win! 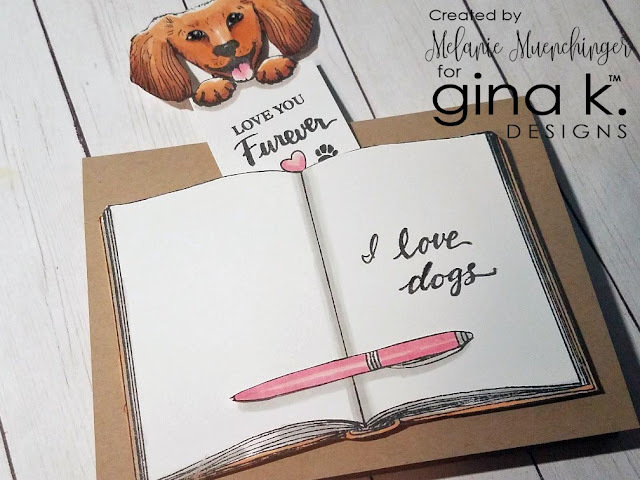 Winner will be announced on Gina 's blog April 19th. So I got requests from all over for a DOG stamp after Open Book came out, and honestly my first thought was, "Huh? I get it they like dogs but dogs don't really sleep on open books, it's kind of a cat thing..."*, but I looove a challenge, and honoring your requests as our schedule allows! Thanks all of you asked because I love the result so much! SO. MUCH. 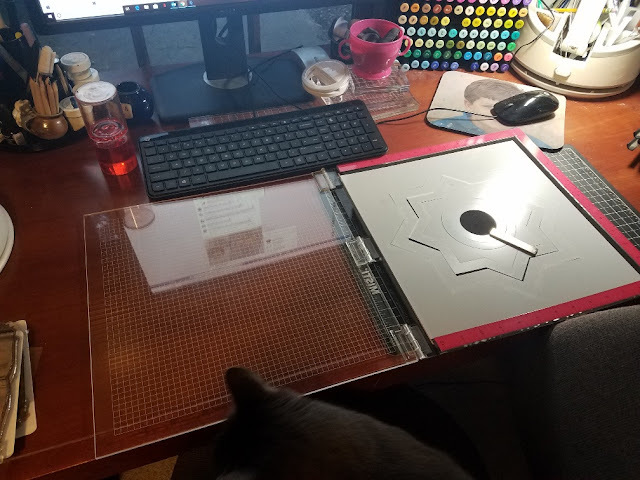 This companion to Open Book is also an amazing stand alone set. One dog image just wouldn't do. While there are different breeds of cats, a single cat image can be pretty representative of *most* people's furry felines. Not so much with dogs, they all look REALLY different! I just had to come up with lots of different ears to change up not only their look, but their personality and mood. You'd be amazed how different the same ears can look when they are down, up, or both UP AND DOWN! That's a lot of exclamation points for one paragraph, but I AM EXCITED! ARE YOU? I love how expressive dogs' eyes are, and how they use them to reflect pure joy or adorable begging/guilt. 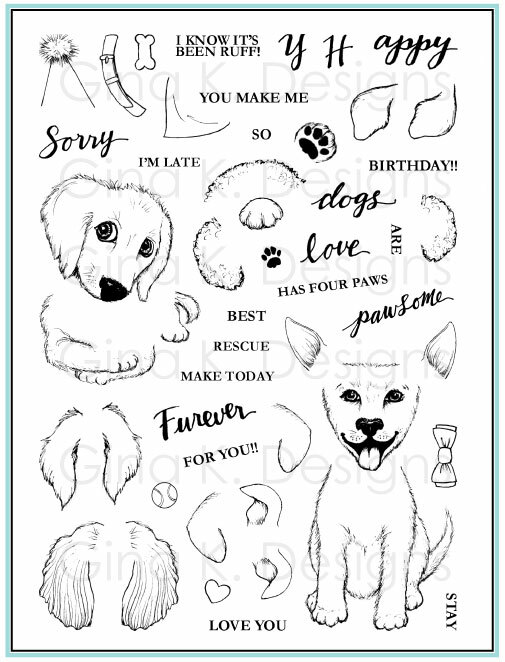 You can capture any emotion you need with these puppies. 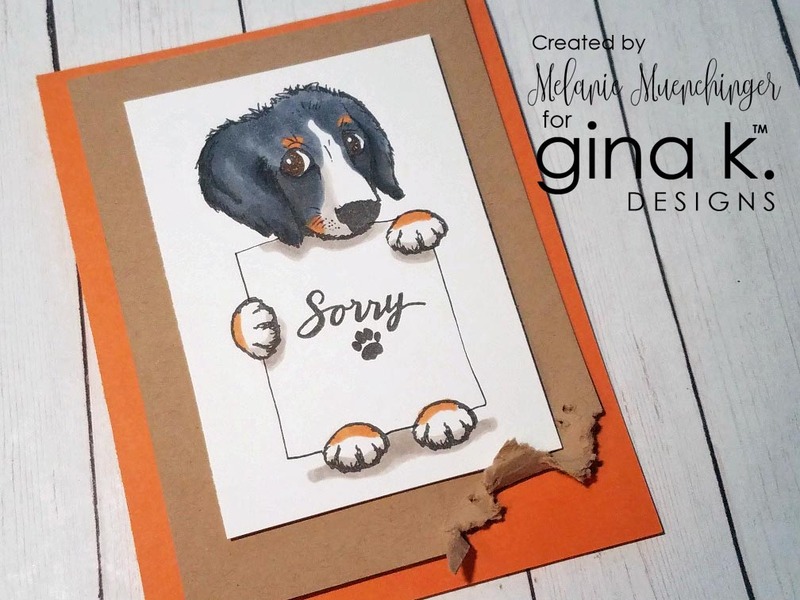 Who wouldn't forgive your belated card with this face? Nobody! 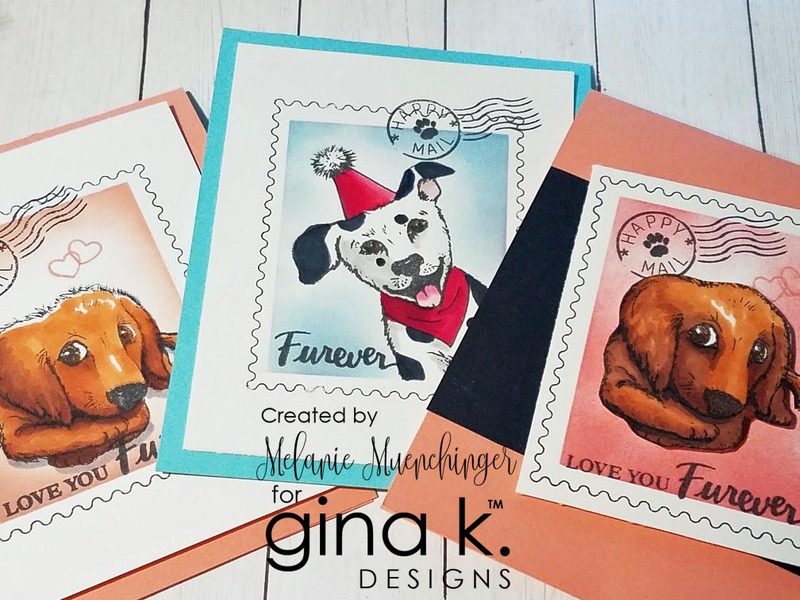 I don't color the images I illustrate until the stamps arrive, and I gotta say I am really enjoying how leaving a lot of white space on these dogs (nose, tummy, paws, etc) makes your coloring more realistic looking and gives the dog more personality and individuality. Less to color, woo hoo! 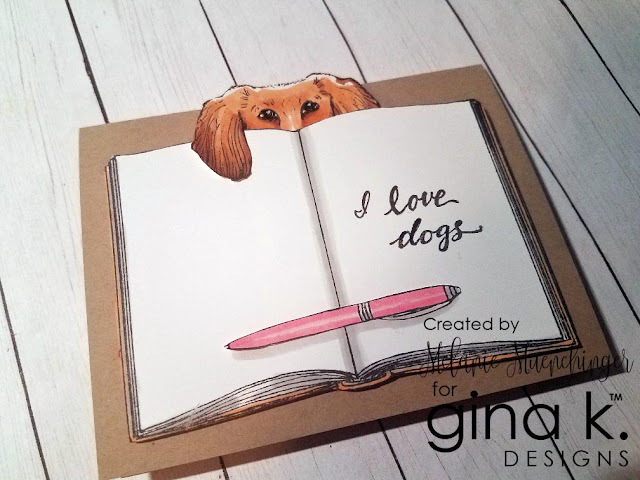 Here is my walk thru video last night with tips for stamping the elements, including a very *minimal* coloring sample you'll love and explanation of the interactive puppy book mark shown below. I love those shaggy spaniel ears! 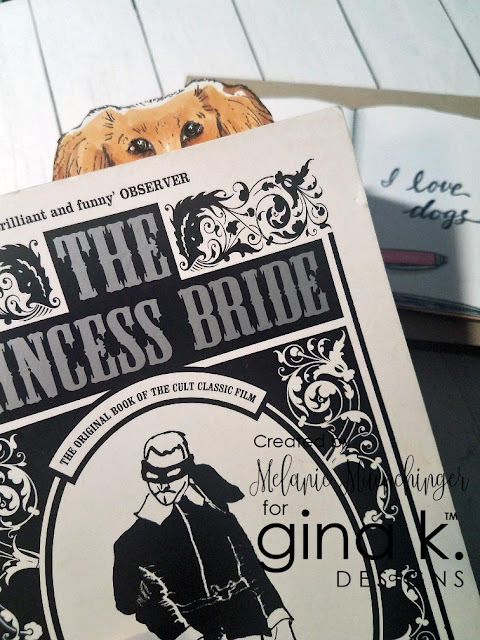 Don't you just want to go make about a hundred different dog bookmarks now to stick in all your books? Whether you're in the middle of one or not. Just for company. Both heads work on the dog that is sitting up. Heads can be tilted at an angle. As I demonstrate in the video, best way is to first stamp body (so the feet are straight and grounded with the edge of your mat), then add head (choose your angle! ), then add ears, THEN add accessories. Coordinating ears are near each other, but a few can be mixed to look like the same ears but one up and one down. Add accessories last. The accessories in here are TO DIE FOR. On this masculine yappy birthday card, I paper pieced the bow and hat with a plaid patterned paper. 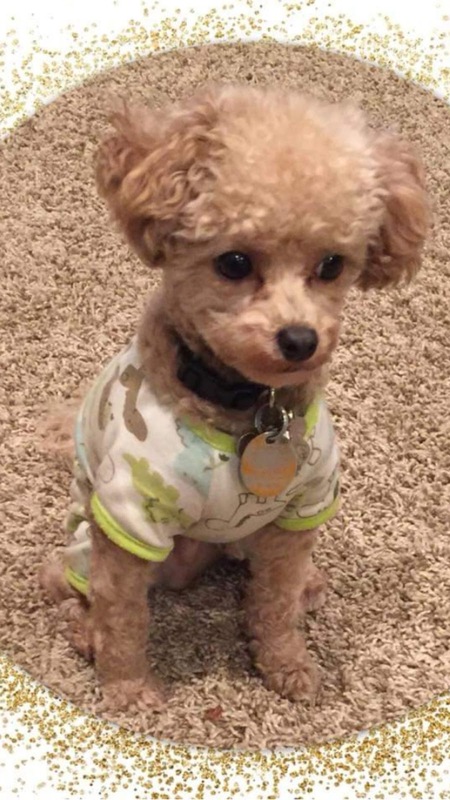 Doesn't he look smart and ready to PARTY? Base is GKD Honey Mustard. The samples I've shared so far are to represent different coloring options or breeds, but I'll end with a card I made to look like someone's *actual* puppy, my bestie Carolyn's toy poodle Brett! Furball dogs get their own head topper and ears. :) He really is this big next to a book. Cardstock is GKD White and Sea Glass. 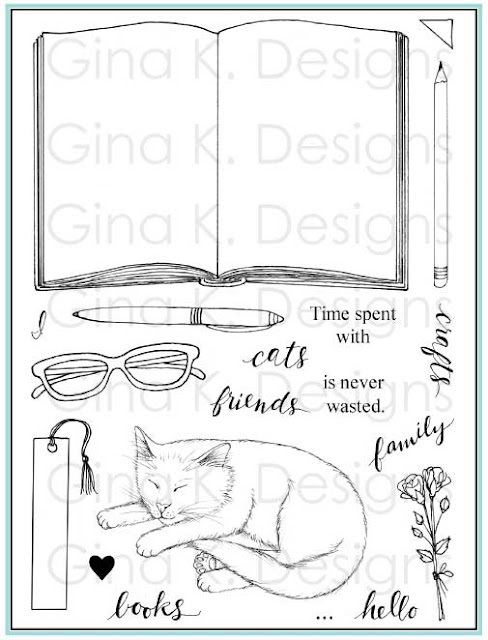 Next up, we have Beth's For the Grad set! 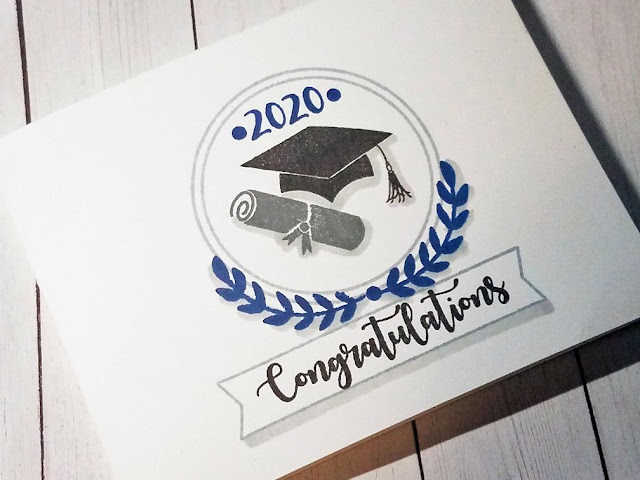 Really useful not just for the graduation elements (when really nothing else will do because you NEED a grad card! Accept no substitutes!) 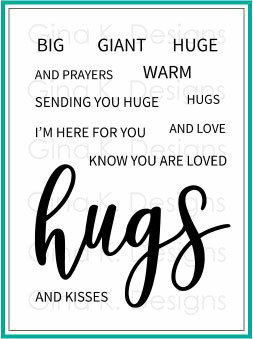 but also for the dates, banner and circle frame elements AND all the encouraging greetings you can use year-round! The sky is the limit! Next year I will have a TON to make because JONATHAN and his friends will be graduating high school, ack! (He was in kindergarten when I illustrated my first set!) But here's one early, I'm ready! GKD Blue Denim and Soft Stone and Stormy Sky for our team's royal blue and gray, GO KNIGHTS! 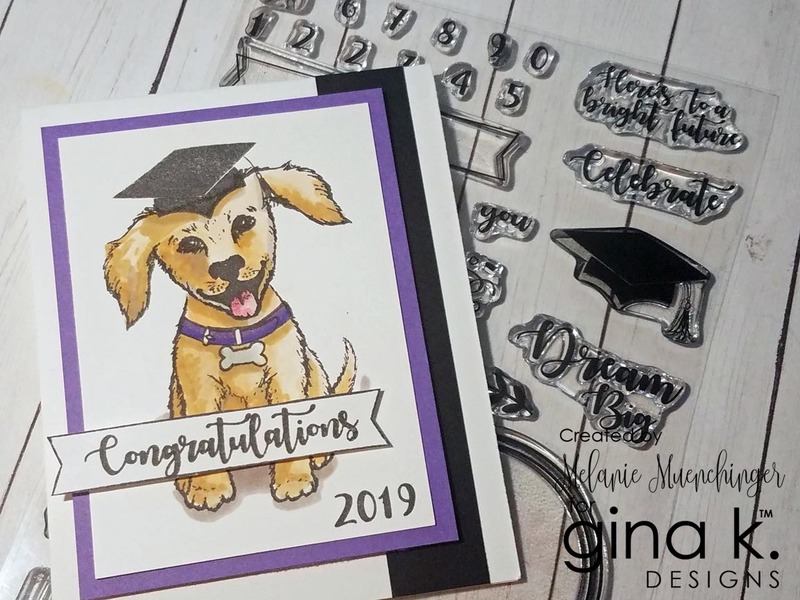 You could also put the diploma in the puppy's mouth or under his paw! The numbers are easy to line up, and I really appreciated the "20" being a single image as I will be making NO cards in 2100 and beyond, that saves me *loads* of time! (especially with 2020 next year, see above!!) You can use these year numbers with my mini calendar in Stately Flowers 12 as well. Here is one where I used her circle frame to highlight the greeting from the new Heart Mini Stamp set, along with the heart outlines in the set and a sprinkle of dots from For the Grad for confetti, using several bright Gina K. ink cubes. 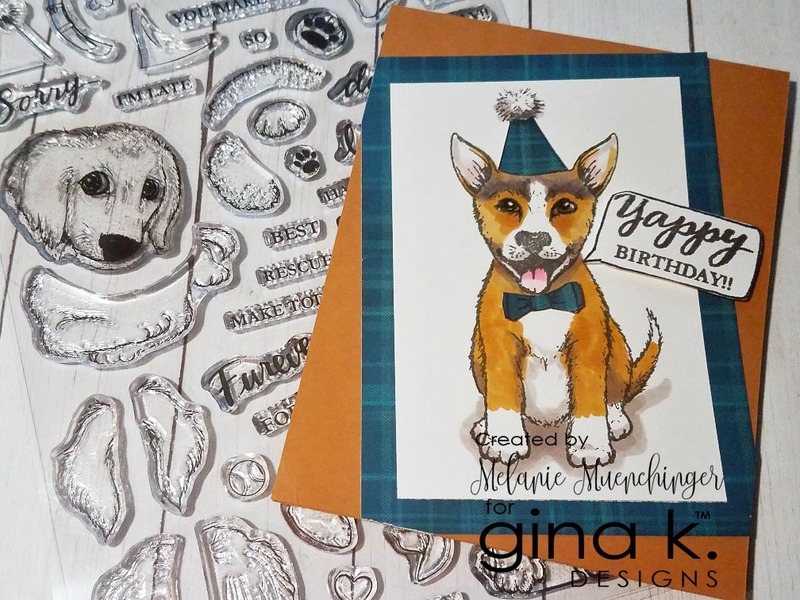 Such a festive addition on any card! 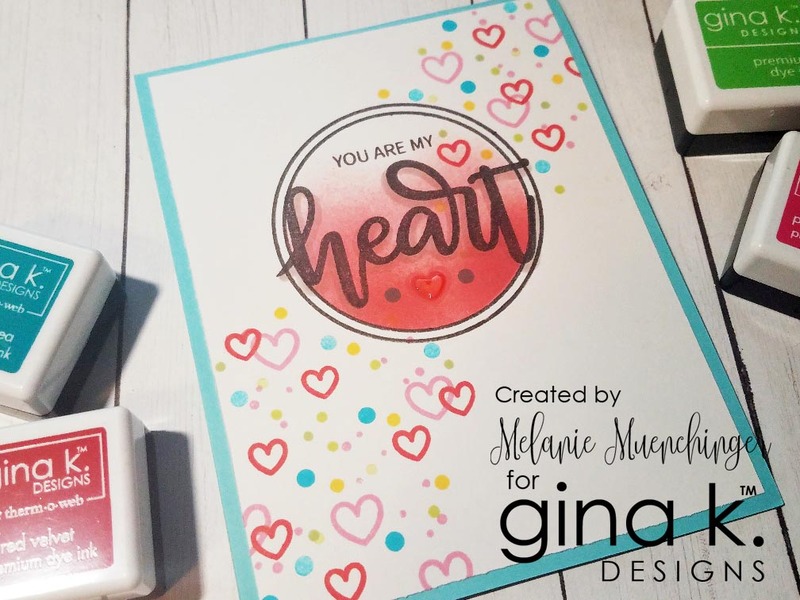 I sponged in some GKD Red Velvet after masking the circle frame and added a little GKD Crystalline Drops on a heart in the middle. Cardstock is GKD White and Sea Glass. 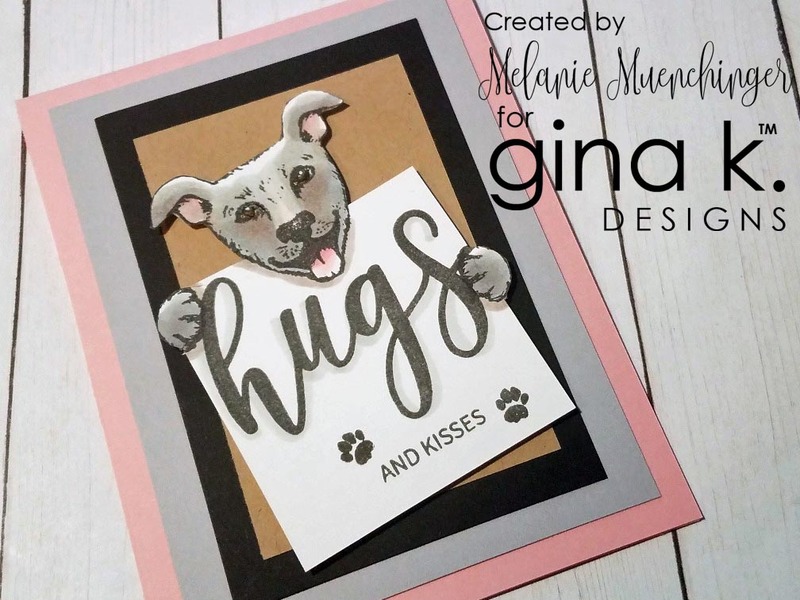 Melanie Muenchinger - Puppies Galore-you are here! Hello! 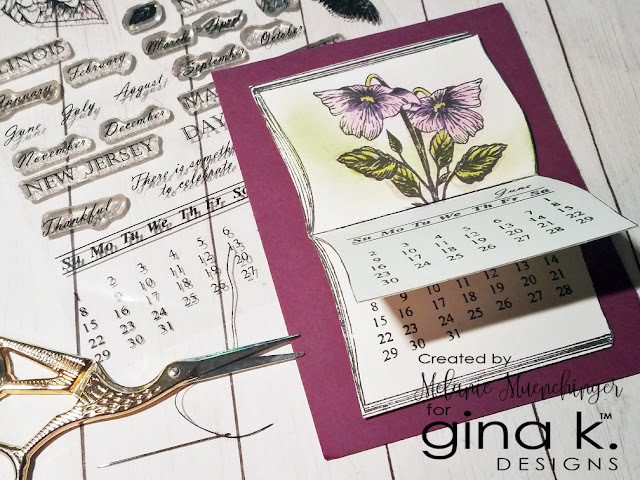 Today I am sharing how to plan and add the mini calendar from my Stately Flowers 12 set to the Open Book frame to create an interactive calendar you can add to cards and gifts for just a few months or a full year! I shared this simple threading technique in my previous Page Turner video, but I show it again here. Have fun adding any images in your collection, ones that coordinate with that month's season or holiday, or all flowers or another category to create a themed calendar like I did in this demo, or paper piece to make each month for bright quick color. We have an awesome release planned for you next TUESDAY night, the 16th, mark your CALENDAR, haha! The new set works with Open Book, and fulfills a request I got from SO MANY of you! Can't wait to share, it's a ridiculously fun set to play with! Have an excellent weekend! 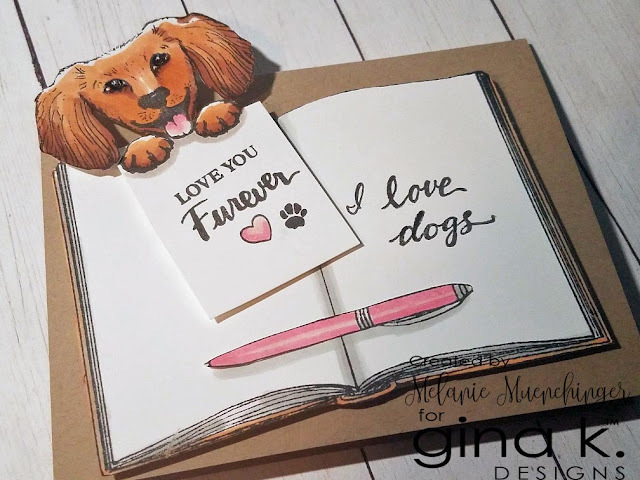 I used Fabulous Rose Frame set to decorate the pages because the rose frame fills it so quickly and the different greeting options allow you to put different ones that will make sense on each spread that flows to the next. Small bold images add pops of color. 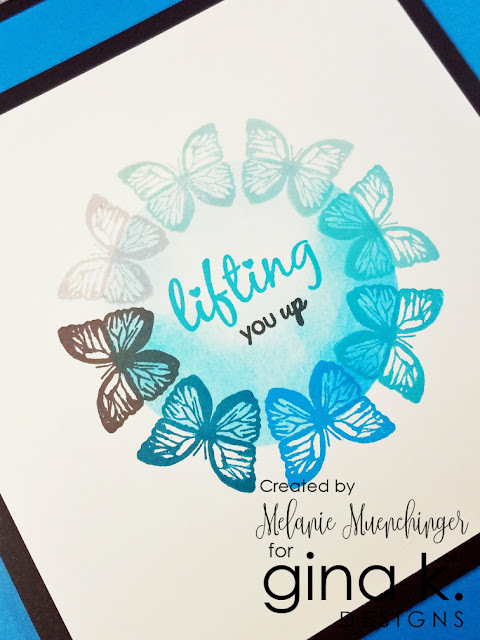 You can add more coloring to the line art images if you like, which I will do, but today I mainly just wanted to show how to construct, stamp and anchor the turning page (two ways, so be sure to watch to the end!) Please enjoy! 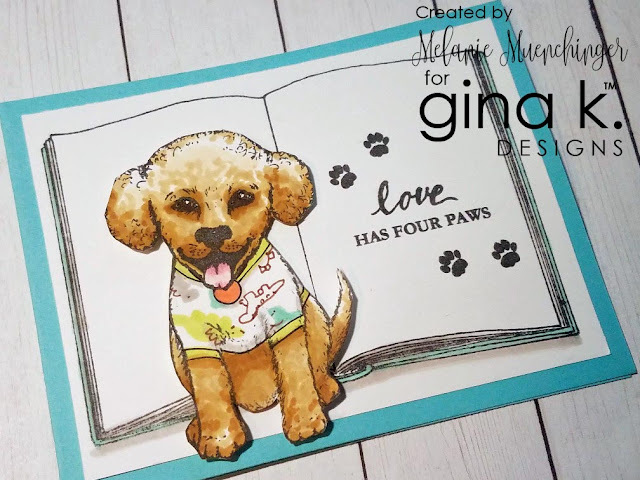 Today’s creation whisks you outside to a peaceful afternoon sketching in a lovely garden! The realism of the flowers in Stately Flowers 11 are just right for some no line coloring with our new Amalgam inks, and the book and pencil stamps from Open Book * are perfect to finish the illusion when you stamp the flowers again on the page in a pencil or ink pen color. In this video, I’ll demonstrate the no line coloring and some simple sponging and adding grass to complete the scene. Can you feel a gentle breeze? Be sure to watch to the end for some variations I suggest for changing this design. PS OOPS! I am SO SORRY I forgot to add the grass in my demo, ackk! A s you can see that detail really adds a LOT to this scene. It took me 10 seconds after I’ve finished taping to figure out what was missing, lol! I promise it’s very simple: just do short flicking strokes with the 2 lightest greens (here CG1, CG2) using your brush of bullet tip marker, starting at the edge of the book and working outward, so it tapers off. Just like a blade of grass. Easy peasy! Using more than one color for the blades will add a lot of depth. *In stock as of today, but if it happens to be out of stock when you view, please hit "notify me" button for an email when they are back, we will be getting more! Please let me know in the comments which is your favorite. 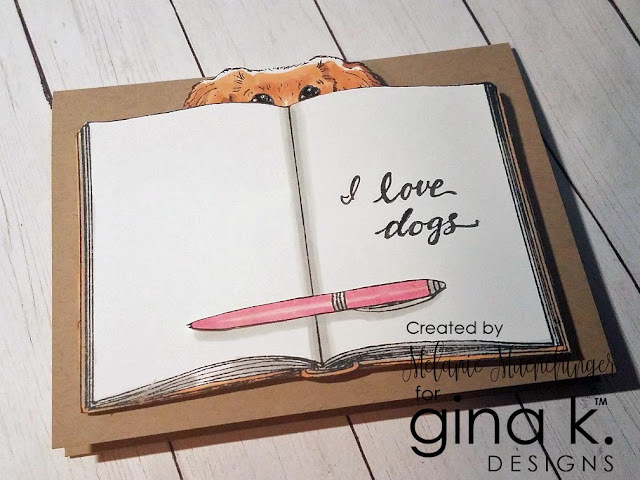 I hope you enjoy this video and post your own creations with Open Book on social media and our community gallery online, I’d love to see your ideas and works of heart! Affiliate links are used here which means I receive a small commission at not additional cost to you if you choose to purchase. I truly hope these tutorials are helpful in planning your purchases and projects. Thanks for your support! Hello! here is the video I shared last week showing my paper piecing tips and tricks for the Open Book set! Some of these ideas you may have seen in our facebook Live on release night, but I shared a lot more), just from having more time to experiment and play! (and all the audio will be synched up this time lol!) This image is so easy to piece (with no tiny areas to cut or carefully add adhesive to) and it packs such a punch, looks like whatever kind of book you are trying to create, right down to the texture of the paper! Watch to the end as I have a fifth way I mention but do not show, I love it, though, and will try to make soon! I hope one of more of YOU will try it out and share with all of us if you are inspired by the perfect book! Please enjoy! 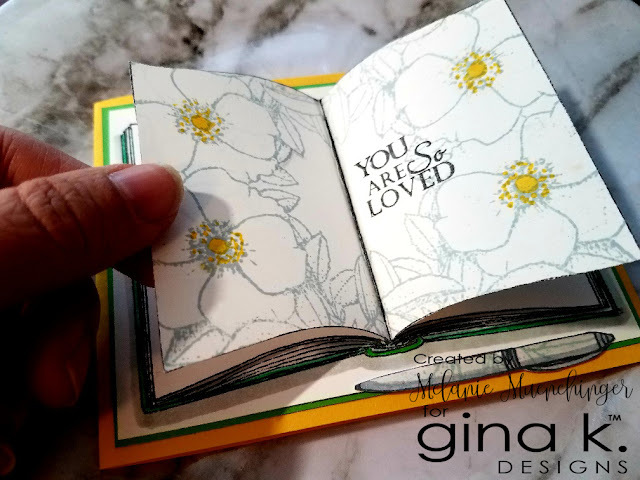 Let me know in the comments your favorite way to paper piece the Open Book image, OR your favorite accessory in the set. Hello! 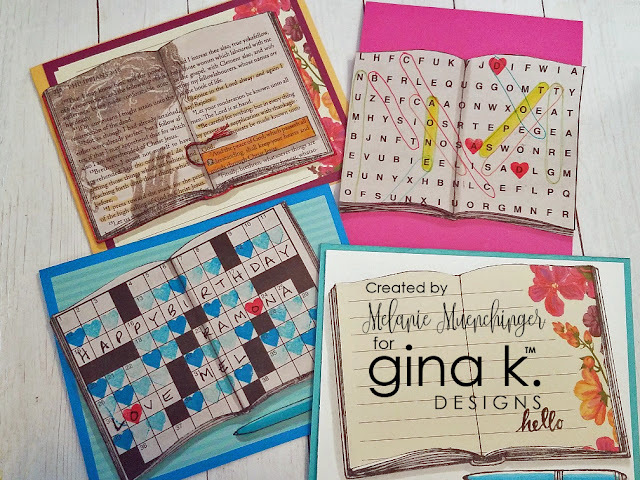 Today we have a special hop to share some fabulous new templates for Gina K. Designs: MEGA and Mini Wreath Builder! 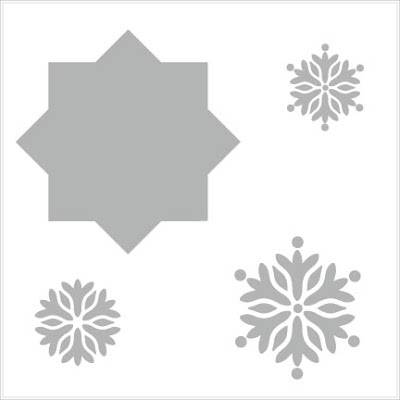 If you are addicted to wreath building, these templates are for must have! Enjoy our hop and please leave comments along the way, each one will give you a chance to win a $50 gift certificate to the Gina K. store! Winner announced March 1st. The mini template is oh so tiny, what a cute template! It also includes some stencils on the same sheet, which is a nice bonus. I made this small card for a baby shower we had for a friend this week! 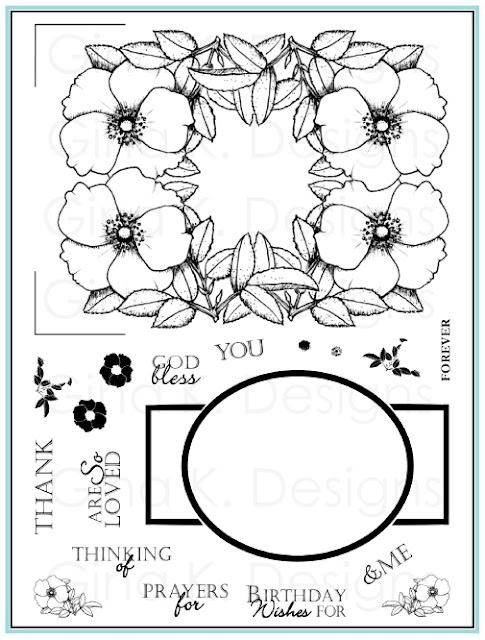 I inked the flower and leafy bits form the Mini Wreath Builder stamp set with GKD Tranquil Teal, Lucky Clover, Fresh Asparagus and Seaglass ink CUBES, they are the perfect size for these little images. 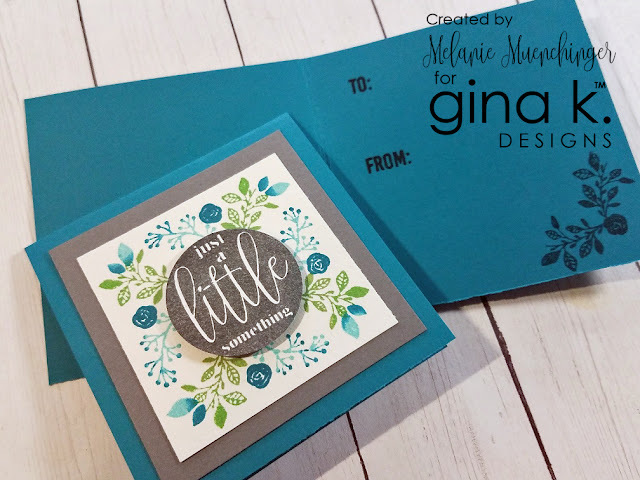 Sentiment was stamped in Jet Black Amalgam and cardstock is GKD White, the new Stormy Sky and Tranquil Teal. (I misplaced my circle die this size, so I used a 1 3/8" circle punch, which took off just the rim, the image is slightly bigger.) Card measures 3 1/4" square. The foam in the MISTI are a perfect surface for stamping with clear stamps even if you are not using the door. 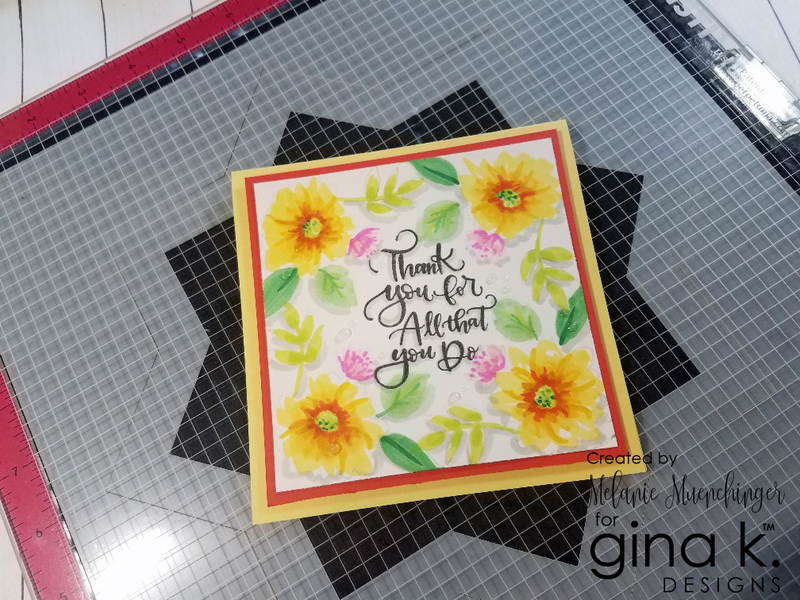 For this card I used the template where you cut your mat to 4 3/4". I love how all the sizes are on the back of the packaging. Hang on to that for reference! 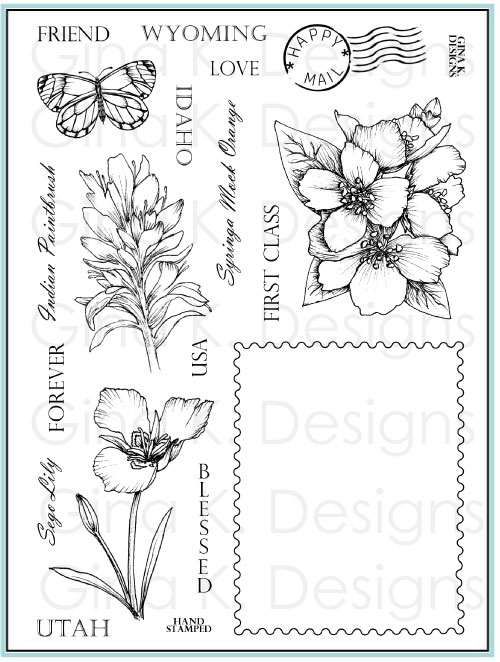 I used the A Year of Flowers 2 set to stamp all these flowers with the new Whisper ink, it is the palest gray you can still see, which I really need for no line coloring right now ( I was seriously seeing double after a long day of editing my last stamp set, ugh). 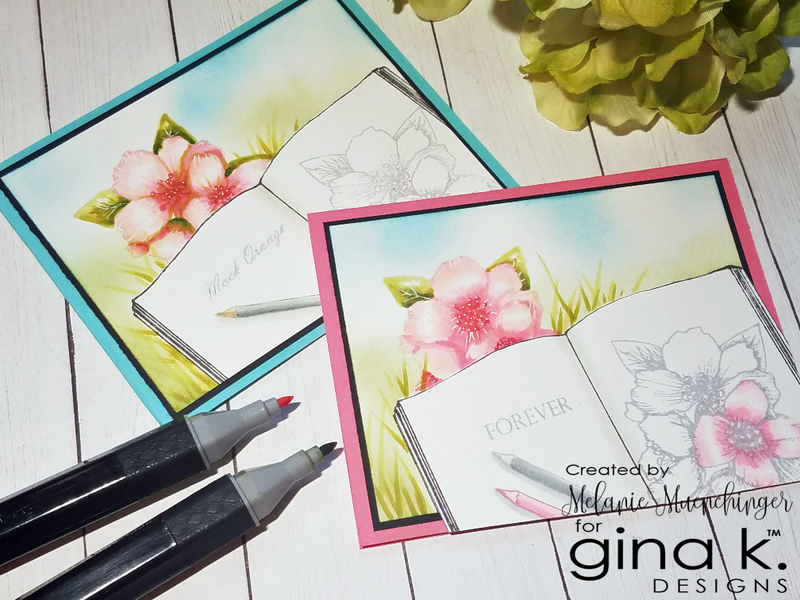 It is easy to complete color to cover or quickly and loosely fill in color like I have shown in my A Year of Flowers 2 videos so you can still see a hint of the lines like a pencil sketch. I colored with Spectrum Noir trying to make it look very much like watercolor rather than real flowers. Sentiment is stamped in Jet Black Amalgam. I traced the greeting and all flower elements for a drop shadow, I love how transparent and watery it looks. I add a few Crystalline drops for dimension and shine. Cardstock is Coral Reef, and Lemon Drop. Finished card measures 5 1/2" square. 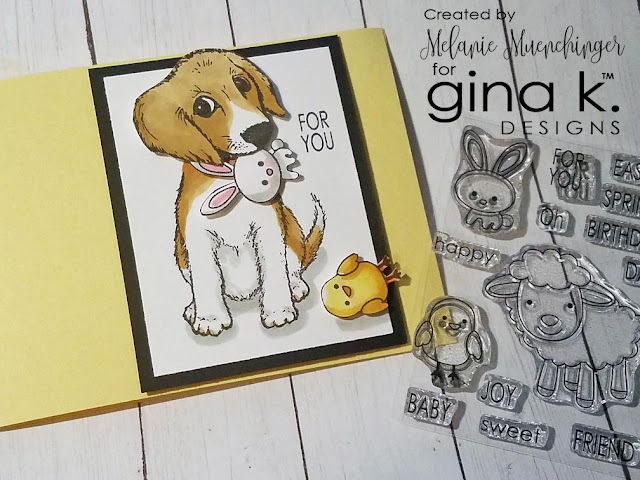 Greeting is from Emily's Lettered and Lovely set. GKD inks from the top going clockwise: Ocean Mist, Sea Glass, Turquoise Sea, Bahama Blue, Blue Raspberry, Tranquil Teal, Slate and finally Whisper. 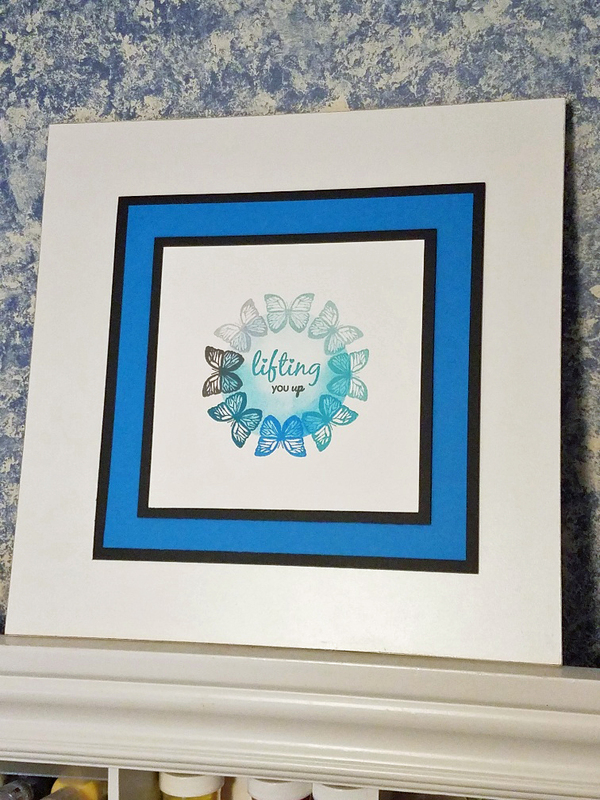 I love the progression of blues and symbolism of transformation, both in the butterflies and transformative power of prayer.I love how she included 2 large circle templates for the center to allow you to perfectly center your greetings, and sponge in come color to really make your design pop. I used Ocean Mist at the top and Turquoise Sea at the bottom. I didn't want to go too dark and lose the detail in the butterfly wings. I layered my stamped mat on Black Onyx and Blue Raspberry cardstock. Each of the black layers are popped up on adhesive foam squares. Let's see what the rest of the design team made with these fabulous stamps, templates and tools! Shop here!